I believe that Jesus is Your son and he died on the cross for my sins and rose from the dead. I repent for all of my sins. I receive Jesus into my heart and my life right now, lead and guide me and be my Lord. Thank you Jesus for saving me! The Scriptures teach that we have all sinned and fallen short of God’s glorious plan for our lives (Romans 3:23). Because of sin, there was a forfeiture or a disruption of the wonderful primary purpose God had for people. The Bible says in 1 John 4:16 that God is love. Love is not an isolated element — it must find a connection and have expression. God made humanity so He could have someone with whom to share His love. He loved the world so dearly, that when it turned away from Him, He sent His only Son to win it back. Jesus Became Part of the Human Race. Jesus, God’s very own Son, became part of the human race, taking upon Himself the form of sinful man; yet He was without sin. He was conceived of the Holy Spirit and born of a virgin, which enabled His blood to be completely pure and untainted by the sin that was initiated through Adam. Jesus is the unique Being of the universe, one hundred percent God and one hundred percent man. Jesus Came to Save the World. God did not send Jesus into the world to judge or condemn it, but to save it. Whoever believes in Jesus will not perish but will have everlasting life (John 3:16-17). There is salvation in no one else! Under all heaven there is no other name for men to call upon to save them (Acts 4:12). And one day, at the name of Jesus, every knee will bow and every tongue will confess that He is Lord (Philippians 2:10-11). Our response to God’s provision of Jesus Christ is to accept Him just like we would receive a precious gift. For as many as receive Him, to them He gives the right and power to become the children of God (John 1:12). Whoever will call on the name of the Lord will be saved (Romans 10:13). Jesus did not come to establish another religion. He is not just one of many holy men. He is God’s Son and He is alive today! When we respond to Him and receive Him, something magnificent takes place. We are transferred out of darkness and ushered into His Kingdom (Colossians 1:13). We escape the tyranny of the devil, and our destiny changes. We’re no longer destined for hell — a Christ-less eternity separated from God — but we’re destined for a forever connection with God, filled with favor, acceptance, and love. And even though we still must face the challenges and difficulties of life, we have a relationship with the Mighty God who upholds, strengthens, leads, and guides us through all of life’s harshness. Once you receive Jesus, you begin to let Jesus in on every aspect of your life, by faith. Faith enters your heart by hearing the Bible, the Word of God. (Romans 10:17). Give attention to His Word, so that there will be a reservoir of knowledge on your lips (Proverbs 5:1-2). The entrance of His Word gives light and understanding (Psalm 119:130). When you humble yourself and receive the Truth from the Bible, and what it says about you, you’re mind will be renewed and you’ll begin to think the way God thinks. Receiving the Word into you’re heart will enable God to transform your life as you grow closer in your relationship with Him. It is vitally important to read, meditate on, and study God’s Word. Get a Bible. 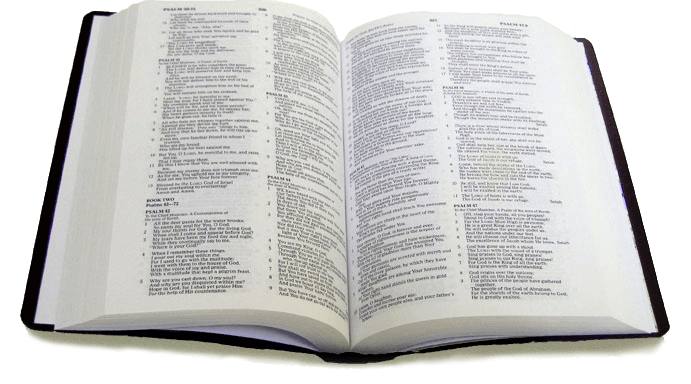 Try the Scriptures in a modern version, such as the New King James Version, the New International Version or the New Living Translation. Reading the Bible will help you gain understanding of the Lord. Start with the gospels (Matthew, Mark, Luke, and John). These books tell the story of Jesus and his teachings and miracles. There are Scripture references listed throughout this website. Looking them up is a good way to get started. Jesus prayed all the time. Jesus is our example, and the Bible says he would often slip away and pray. If He prayed, how much more do we need to pray? Prayer is simply communicating with God. You may have experienced frustration in prayer before you received Jesus, but now you have an open door and fellowship with God because His ear is inclined to your prayers (Psalm 10:17). Now you have access to the Father. Spend time pouring out your heart to the Lord. Go to a quiet place where you can be alone with God and regularly spend time with Him. While it’s true that you can get to Heaven without attending church, it is equally true that you are a part of God’s family — a family of believers. The Bible says that we are not to forsake the assembling together as is the habit of some (Hebrews 10:25). We’re meant to not only receive but also share our unique gifts, personalities, and abilities in order to strengthen and encourage each other and to accomplish all the amazing things God has for us. Baptism is a significant moment in the life of a believer. Being baptized in water is an outward expression of the inward change of new life in Jesus (Galatians 3:27). The old person you once were has passed away, and the new person you now are in Christ is alive and well! Water baptism is a way to demonstrate that you have aligned yourself with Jesus. For a believer, going under the water symbolizes the death of the old person before salvation. Coming up out of the water symbolizes rising up into new life in Jesus (Romans 6:4). Jesus died for us publicly. We are to live for Him outwardly, before the world. Jesus promised that after He died and rose again He would send us another Helper — the Holy Spirit, the third Person of the Trinity. This promise of the Holy Spirit is for every person when he or she receives Jesus as Savior. When we are born again, He comes to live within us. He comforts, guides, and teaches us and He helps us understand God’s Word and will (John 14:26; John 16:13; 1 Corinthians 2:13). According to the Bible, the baptism in the Holy Spirit is a separate event that happens after a person has become a Christian (John 20:22; Acts 1:5). It is a baptism of power and fullness (Acts 1:8). It gives us the ability to receive and function in the gifts of the Holy Spirit so that we can benefit the global Church — the Body of Christ — and carry the message of Jesus Christ to the world (Luke 24:49; Mark 16:17). One of those abilities is speaking or praying in tongues — speaking a language that you don’t know so that you can communicate directly from your spirit to God. The baptism in the Holy Spirit is for every believer today! God is good, and He wants you to have all the good things He has provided for you — including the Holy Spirit (Luke 11:13). Read Acts 2 to learn more about the Holy Spirit and His purpose and power. Jesus is the ultimate example of humility and servanthood. Serving is such a rewarding part of being a Christian. Jesus said the greatest among you is a servant of all (Matthew 23:11). Being a giving, caring person is part of who you are as a Christian — just like Jesus. You honor God when you help people (Matthew 5:16). There’s something special about going out of your way to give your time and actively do good. Serving brings joy to you and to those being helped. Much of the reason you have your unique gifts and abilities is for the benefit of others. The word “tithe” means “ten percent.” This giving from your income is a contribution to the work of the church you attend. To tithe is a duty, and it’s holy to the Lord. This is the one area where God says we can test His faithfulness to us (Leviticus 27:30; Malachi 3:10). Giving in addition to your tithe is an offering, which includes giving of money or goods to the poor (Proverbs 28:27). When you give, it remedies greed and self-centeredness. It’s better to give than receive, but we do also receive! We reap when we sow—It’s a spiritual law. Paul the Apostle said, “I am not ashamed of the Gospel, because it is the power of God for the salvation of everyone who believes: first for the Jew, then for the Gentile” (Romans 1:16). Jesus told us to go into all the world and preach the Gospel (Mark 16:15). It’s so important that we tell others about Jesus. When we do, what we speak gets deeply implanted in people’s hearts and lives. Look what happened to you! You heard the Gospel of Jesus in a credible way and the Holy Spirit amplified it and touched your heart. This message of Jesus Christ is good news, but like any news, there must be newscasters to convey it. Begin to tell others what Jesus has done for you. He has restored you in a relationship with Him! He loves you, and He’s going to bring blessings in and through your life—blessings that are exceedingly and abundantly above and beyond all that you could ask or think (Ephesians 3:20)! © 2018 ST. LOUIS FAMILY CHURCH // ALL RIGHTS RESERVED. Check Out The Understanding The Basics Series Now For FREE! You did it! We will notify you as soon as the series is finished!